When the Foreign Policy White Paper was revealed by the Australian government last November, analysts were eagerly anticipating the strategic outlook and choice of tone used to convey Australian cyber policy into the international arena. But far from a novel contribution the White Paper lays out a strategic framework on cybersecurity which largely mirrors the inaugural Australian Cyber Security Strategy unveiled in April 2016. The core strategic objectives in the international arena as laid out by the Strategy were expanding international cyber cooperation, protecting critical national infrastructure, defending against cybercrime in the Indo-Pacific and advocating for an open and free internet among the international community. There is clearly continuity between last year’s Cyber Security Strategy and the White Paper which indicates a strengthening and entrenchment of a core set of values and objectives in Australian cyber policymaking in recent years. 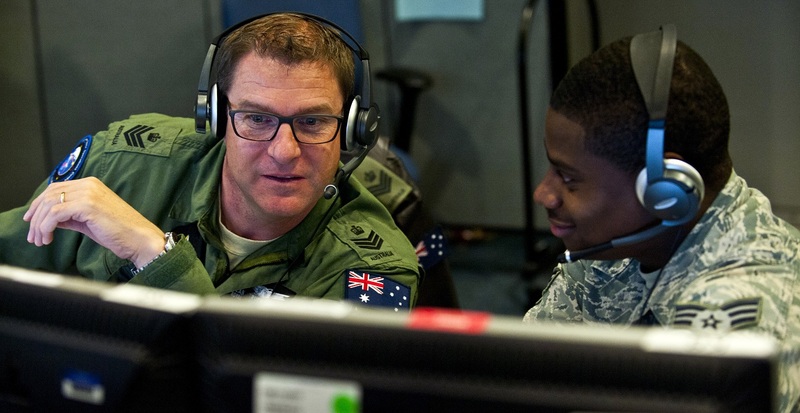 This can be linked to the sizeable investment made by the federal government in cyber infrastructure through the creation of the Australian Cyber Security Centre in 2014, which brings together operational cyber security capabilities across the government to better collaborate and share threat information. Additionally, the White Paper’s outlook on cyber security shares a consistency with the broader themes of the strategy itself in that it advocates for a rules-based order of cyber norms among the international community. The White Paper, which recognises the rapidly changing security climate, is committed to upholding an open, free and secure cyberspace. 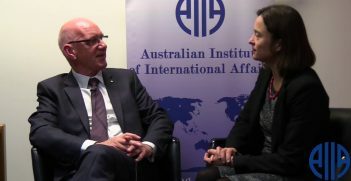 In its heavy focus on cyber policy which underpins a rules-based international order, the strategy affirms that existing international laws apply to cyberspace and the Australian government has explicitly delivered a message that it is willing to defend and use offensive cyber capabilities against malicious cyber threats from state and non-state actors who seek to compromise its national security. A striking new addition to Australia’s outlook on cybersecurity which the Cyber Security Strategy did not account for, is recognising the threat posed by foreign cyber interference in democratic institutions, such as in the 2016 US election. Here, the White Paper conveys a tone which acknowledges the growing risks posed by globally networked information systems misused to disrupt democratic institutions and shape public opinion through disinformation, but stands resilient against these threats. The goal of this is to convey the tone that Australia stands opposed to cyber interference in continuity with the broader theme of promoting a rules-based international order. Although the White Paper does not specifically reference China as an actor responsible for malicious cyber activity, there is a safe assumption that like so much of the strategy, it seeks to urge Beijing to uphold a rules-based order. In the past, the Australian government have been careful not to directly blame China for cyberattacks on national infrastructure whilst its intelligence community has warned of the threat of Chinese political interference and espionage within Australian borders. The White Paper’s chapter on “Guarding against Foreign Interference” is carefully defined and purposefully left broad to allow for an extensive understanding of foreign interference. While not referencing any countries responsible, the White Paper has left the characterisation of foreign intervention comprehensive enough to allow for both cyber interference and interference within Australian academic institutions to be included within this definition. Like so much of the White Paper, this choice of language appears to indirectly send a message to China that it will not tolerate any form of foreign interference, within cyberspace, politics or academia. 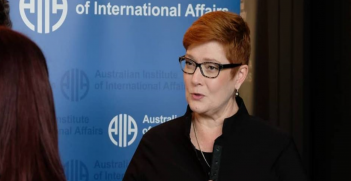 Ultimately, the Australian government has delivered a White Paper which outlines the necessity for a rules-based order in a geopolitical climate which is becoming more chaotic, uncertain and competitive. Given the growing threats to national security associated with rapid technological change, the White Paper has chosen to frame its cyber policy as inseparable from its commitment to a rules-based approach in its foreign policy. It has delivered a cyber policy which is indicative of a consistent approach to national cybersecurity whilst also being adaptive to the most contemporary of threats. Consistent with the broader tone of the White Paper, the Australian government has sent a message to all potential competitors in cyberspace that it will protect its sovereignty at all costs. Matthew Holding holds a Masters of International Relations from Flinders University and is currently the Adelaide Branch Director of Young Australians in International Affairs. 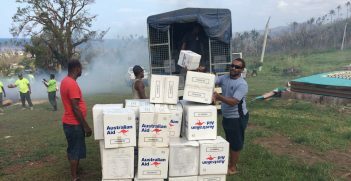 The 2018 Lowy Poll shows that Australians have a highly inflated perception of the size of the aid program but would like Australia to be more generous than it is. The results reveal how fraught polling of public perceptions on aid can be.